The Carlisle Code Enforcement division is responsible for upholding the property maintenance standards outlined in the Municipality's codified ordinances. Below is a list of the most common code violations of those standards. This information should be relied upon for general information purposes only. For more information regarding the Municipality's code and codified ordinances, click here to visit the Ordinances page on our website. Driveway construction and expansions require obtaining a permit. Additional information regarding driveways can be found in the Carlisle Codified Ordinances at 1026 and 1284.25. Fence regulations regarding height restrictions, construction materials, and zoning requirements can be found in the Carlisle Codified Ordinances at 1274.13 and 1280.11. Corner lots may be subject to additional limitations for fence placement. Please see the setback requirements for corner lots in the Carlisle Codified Ordinances at 1262.07(d). Exterior property areas should be kept and maintained in a clean, safe, and sanitary condition. Grass and weeds should not exceed 8 inches and grass clippings should not be swept or blown into the street. Please refer to 1466.32(d) for grass maintenance information and 660.13 regarding disposal of grass clippings. Vehicles are not permitted to be parked on lawns in the Municipality. Please refer to 1284.15 in the Carlisle Codified Ordinances for a complete description of parking locations. There are many conditions regarding the parking limitations of recreational vehicles (ex. campers, utility trailers, boats, etc.) in residential districts. For complete restrictions, please refer to 1274.17 in the Carlisle Codified Ordinances. All sidewalks, walkways, stairs, driveways, parking spaces and similar areas shall be kept in a proper state of repair, and maintained free from hazardous conditions. Please refer to 1466.32(c) in the Carlisle Codified Ordinances. Miscellaneous automobile parts and items are not to be stored in a yard on a residential lot. More information can be found in the Carlisle Codified Ordinances at 1274.19. Inoperable, abandoned, or unlicensed vehicles, including recreational vehicles and boats, are not to be stored on a residential lot. Specific information can be found at 1466.32(h) in the Carlisle Codified Ordinances. A permit is needed for any pool with a diameter of 12 feet or larger, including portable pools. Fencing with a gate and lock is also required to be in place around the pool. Regulations regarding swimming pools can be found in the Carlisle Codified Ordinances at 1274.15. 1466.32(l) in the Carlisle Codified Ordinances for further information. 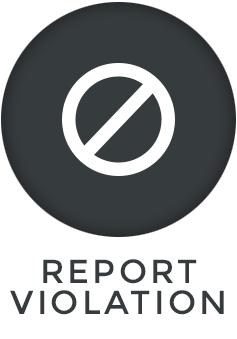 If you witness a code violation within the Village limits, click the button below to fill out a violation report.